The OMS inventory management functionality provides powerful fulfilment and inventory capabilities, including an easy-to-use interface that allows you to track and understand stock movements across all sources (warehouses and physical stores). More information on inventory and stock snapshots can be found in the stock-sourcing section . The only options that appear in this page are the ones which have received stock information (at least once). SKU Refers to the Stock Keeping Units of an item. A single product with lists of options for each variation. However, each option represents a separate, simple product with a distinct SKU, which makes it possible to track inventory for each variation. On Hands Quantity Available quantity of an item physically in a source. Hard In-flights Quantity Stock reserved by orders already sourced but not yet confirmed as acknowledged by the logistic provider. History specific history of each SKU in a source. Keep in mind that this export is automatically sent to the email of the logged-in user. Quantities imported with the inventory message magento.inventory.source_stock_management are saved in the source stock repository as On Hand quantities. Aggregation of stock for each one of the sources associated to the stock aggregate (for example, WEB1 is associated to SOURCE1 and SOURCE2. The quantities for both sources are aggregated). All in-flight orders for the stock aggregate are decreased. IN-FLIGHT: all lines that are in between the stock allocation and the LSP confirmation (for clients not sending the received by LSP then is once the line is shipped). The safety stock quantity for all the sources associated to the stock aggregate are summed and decreased from the quantity to be exported. Item style code Refers to the code for that product. Option client SKU A single product with lists of options for each variation. However, each option represents a separate, simple product with a distinct SKU, which makes it possible to track inventory for each variation. Status State of the item. Name Name in store of the item. Soft in-flight quantity Stock reserved by orders not yet sourced. Available quantity Available quantities of that item. Stock trace Traces the stock quantities for that specific Option client SKU. Same as in the Aggregate stock view, you can view the trace for that specific item by clicking View Trace. Total aggregate quantities: This is the total amount of stock available for each source. Aggregate safety stock: Safety stock at aggregate level. Soft allocated in-flight: All lines that are in between the stock allocation and the LSP confirmation. Stock reserved by orders not yet sourced. Available for sale: Total available for sale. 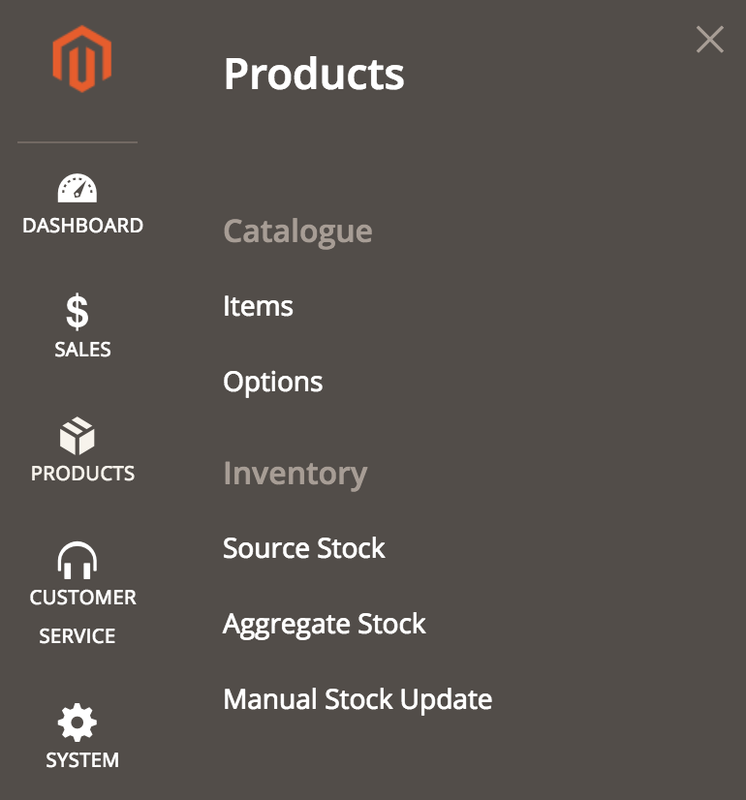 The manual stock update will trigger a reindex for the modified sku and will generate a magento.inventory.aggregate_stock_management.updated message. 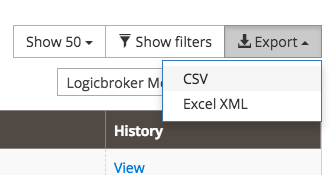 Take into account that the next stock snapshot is updated automatically by your OMS, and overwrites the values previously edited manually. You have to select Source to Update, then describe the reason, and indicate the SKU and the quantity. Finally, press Update.